First impressions are important. In the financial realm, your credit score and credit history are the first and possibly only impression a potential lender, employer, or landlord has when deciding to approve your application. Since good credit scores don’t happen overnight, you’ll need to gradually begin building credit through a variety of different methods. We’ve laid out a step-by-step plan for you to grow your credit starting today. Payment history is the largest factor of your credit score (35%) and is the easiest way to a good credit score. All you need to do is pay your bills in full before the due date each month. Within six months you will see a marked difference with your score and it will only continue to improve as your credit history keeps receiving positive marks. Follow these three strategic ways to pay your bills each month. If you don’t follow any of the other credit-building methods here, this one is a requirement. Adhering to this cardinal rule is the easiest way to build your credit. By simply spending less than you earn, you will have a positive savings rate that allows you to pay any existing loans you currently have and stay out of debt. There will be times when you’ll have to borrow money in order to buy a house or car. The key, however, is to not overextend yourself so you can still afford your other monthly bills. When buying a house, ensure the monthly mortgage payment is less than 25% of your gross income. 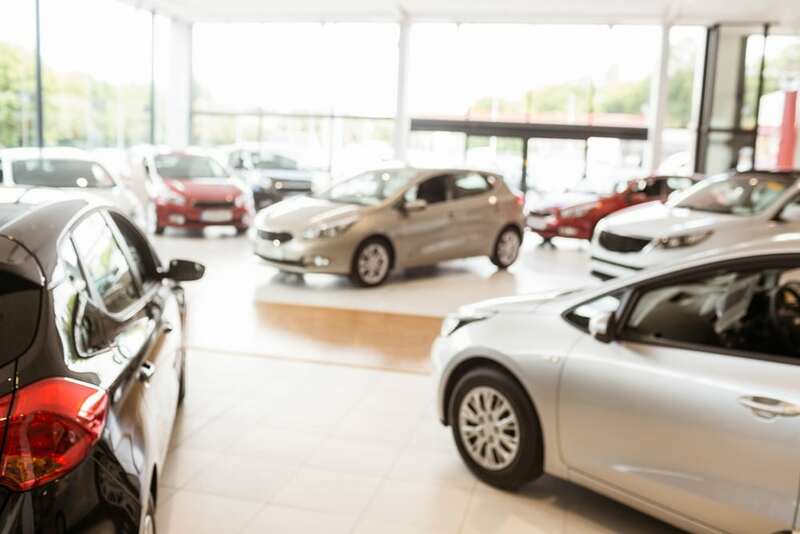 The same advice can also be applied to financing a car, although some experts recommend capping your monthly auto loan payment to 20% of your monthly salary. While you should pay all your bills on time every month, your credit card bills are very important for two reasons. First, the credit card company will report late and missed payments to the credit bureaus, causing your score to be penalized a few points. Plus, the late payment will remain on your record for up to seven years. Each late payment negatively affects your score and history after 30 days. Three to six consecutive months of missed payments can cause your card to be charged off, leading to another credit score drop in addition to the originally missed payment penalties. 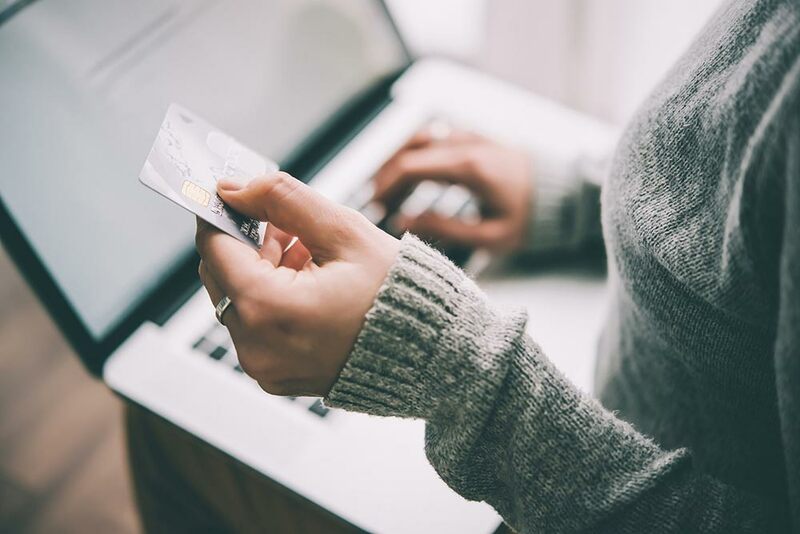 The second consequence of late credit card payments is high-interest charges because credit cards have some of the highest interest rates in the finance industry. The national average currently hovers around 19%. Depending on the balance of your missed payment, a 19% interest rate is very expensive. For example, if your monthly balance is $800 and you can only afford the minimum monthly payment of $25, it will take you four years to repay the balance. The extra cost in interest is approximately $300, so you ultimately paid $1,100 for the purchase. The larger the balance, the more you pay in interest. If you are already living on a tight budget, those fees might cause you to miss other bill payments as well. The perfect combination for building credit is never missing a payment and repaying the entire loan balance ahead of schedule. While you won’t receive extra credit score points for making more than the minimum payment, your score will increase sooner than waiting the entire repayment term. This will rapidly increase your chances of qualifying for a better loan in the immediate future. And, you can literally save thousands of dollars in accrued interest as a secondary financial benefit. The most common use for a credit score and credit history is during the approval process for a loan or credit card. While your score will temporarily drop a few points after initially getting approved, taking out a loan is one of the best ways to build your credit. Follow these tips for the best results on your credit report. Each financial loan you have will improve your credit after it has been successfully repaid, but it doesn’t mean you should finance every purchase just to raise your score. Exercise wise money management by living within your means, since applying for too many loans is an easy way to overextend your credit and become unable to afford a loan payment. Also, having too many recent loans can be a red flag to lenders if your debt-to-income ratio has risen sharply or you haven’t had time to establish sufficient credit history. Instead, only apply for one loan at a time and wait six months to one year before applying for another. Six months is normally a good baseline for lenders to determine if you have been making payments before the due date for your newest loan or credit card. Plus, waiting several months allows time for your credit score to return to its pre-application level since each application for credit temporarily drops your score a few points. Your payment history and current loan balances are the two largest determining factors of your credit score, but it’s also important to keep your hard credit inquiries to a minimum. Another section of your credit report lists how many times you have authorized a personal credit check. This happens anytime you apply for a loan, credit card, new phone carriers, new apartment lease, or even a new job. And the inquiry sticks whether you receive the nod of approval or not. These hard inquiries remain on your report for 24 months before disappearing. This means if you have applied for three different auto loans within the past two years and have never been approved, you’ll most likely have three different inquiries on your report. Having five inquiries within a rolling 24-month period might seem like a lot, but it can happen quicker than you realize. Almost any transaction that involves a contract or financing requires a credit check. If you have several recent inquiries, waiting until some of them drop off can increase the likelihood of being approved when you truly need access to credit. There are two industries, car dealerships, and furniture stores, that like to periodically advertise 0% financing. If you qualify for a monthly payment with zero interest, this might be a cheaper option than borrowing money with interest for a cheaper car or sofa. This might also be a good option even if you currently have enough cash to buy the item outright. There aren’t too many financial loans that allow you to borrow money for “free” and build your credit in the process making 0% financing a hard offer to refuse. Just be sure to read the fine print — some of these deals will charge you the full interest if you miss even a single payment. As with loans that have interest charges each month, paying these off early will cause your credit score to rise compared to making payments the full three years. Potentially more important, loan prepayment means one less monthly payment that you are responsible for making and can potentially stress your budget. Some banks offer a credit builder loan where you borrow a small amount ranging from $500 to $1,500 for 12 to 24 months while making monthly payments to the bank. The catch is that you cannot access the borrowed money until you repay the entire balance plus interest. The balance is in a Certificate of Deposit (CD) account while you are making payments. That’s good news because it’s earning some interest. You then have the option to withdraw the money or keep it in the CD account to continue earning interest if you desire. Sometimes you cannot qualify for a loan with your own credit. In these instances, find a reliable and willing co-signer with better credit than yours. 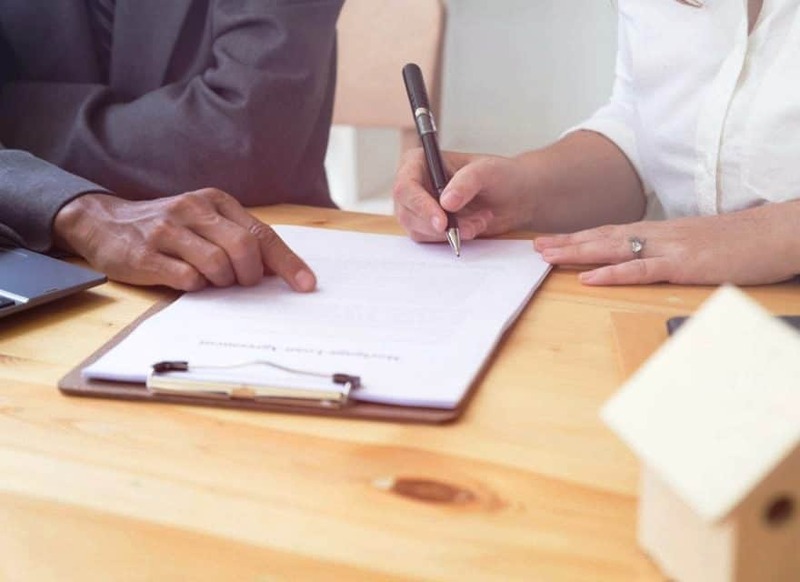 When applying with a co-signer, some lenders will use the better of the two credit scores to determine the loan interest rate and borrowing amount. Mortgage lenders, however, usually use the lower middle score of the two applicants. With a co-signer, you’re still responsible for making the monthly payments, but in a few years after your credit has improved, you might be able to release them from the loan. 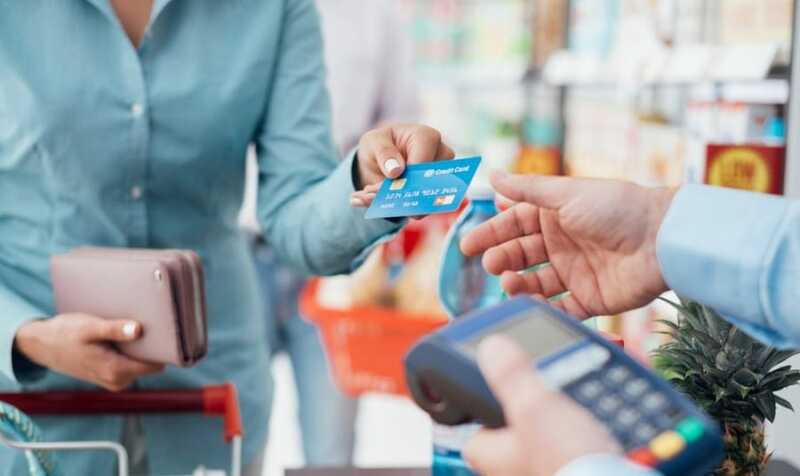 Credit cards are a sensitive subject in personal finance because they’re a source of debt for some households, while many others use them responsibly and earn rewards for using them responsibly. Depending on your own financial background, you might decide to avoid credit cards to prevent future financial stress. Thankfully, using a credit card isn’t a requirement for building excellent credit. If you choose to use one, try following these rules. Depending on your credit history, the only type of credit card you qualify for might be a secured credit card. It requires a refundable security deposit and has a credit limit of an equivalent amount. You are responsible for paying the balance in full each month and your payment history is reported to the credit bureaus. After at least one year of payments, your credit might allow you to qualify for an unsecured credit card with a higher credit limit without the security deposit. Credit cards offer different rewards and may or may not charge an annual fee. Choosing a card with no annual fee is one of the few ways to establish credit for free. All you have to do is pay your monthly balance in full and your score will slowly increase. With a typical rewards program, you have the opportunity to earn cashback of at least 1% on most purchases. Similar to loans, your credit score will dip slightly when you initially apply for the card, but it will soon climb as you establish a positive credit history. To maximize your score, try to keep your recurring monthly account balance to below 30% of your available credit. For instance, you should try to spend less than $3,000 per month if you have $10,000 credit limit as a way to exhibit financial responsibility. Two common traits of those with near-perfect credit scores are only having at most two or three credit cards and owning them for at least 10 years. Instead of applying for every credit card offer you receive because you want cheap plane tickets to Hawaii each year, stick with one or two cards that provide rewards you want. If the first card you received approval for was when you had a lower score, it might make sense to keep it to help lengthen your length of credit history. Assuming you’ve had it for 10 years and have only owned your other card for one year, your average length of credit will eventually drop when the closed account drops off. You might use your new card more often because it’s a better product but, your original card is still improving your credit score each day it’s open. And, if it doesn’t charge an annual fee, your score improves for free. This is another reason to apply for no-fee cards when it makes sense because they can help you in more ways than you might expect. If your oldest accounts charge a fee and you never use them, it might make more sense to close them as saving money can be just as important as having good credit. If you own several credit cards and rarely use one or two of them, you may only think to look at the account balance for the months you do use them. Unfortunately, credit card numbers are digitally stolen every minute of the day and the thieves will fraudulently use your card information until you or the bank discover it. They might even open up an account in your name without your knowledge and leave you with the unpaid bills. You should routinely monitor your credit report and check for any discrepancies, errors, or fraudulent activity. If anything is discovered you might have to file a credit dispute with the credit bureau to have your credit report corrected. 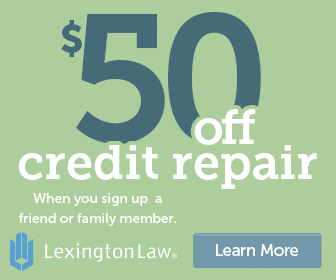 After a dispute has been filed, it can take up to 60 days for your credit score to portray your true credit history. These simple guidelines will help you build credit both in the short-term and the long-term, giving you a well-rounded personal finance game plan.